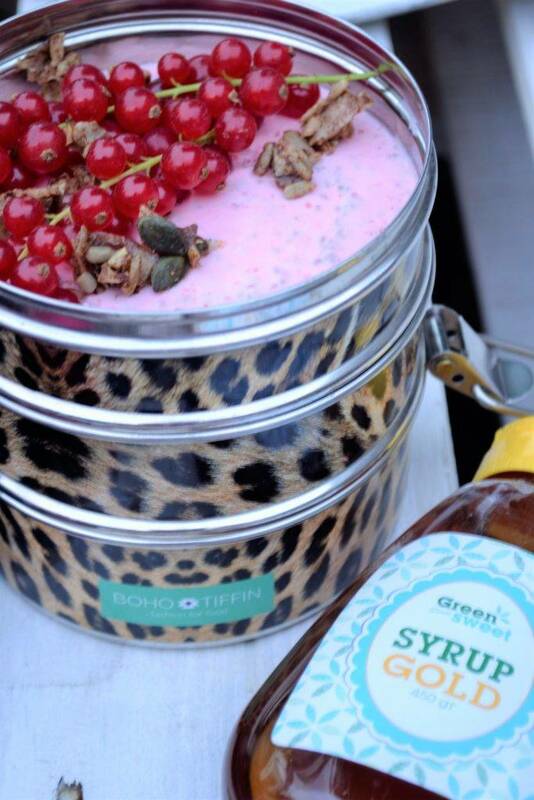 A delicious recipe from Manon from Vegan Flavors, in which she processes Greensweet Syrup Gold. Put all ingredients except the chia seeds in the blender and blend into a creamy milk. Taste if it is so flavored, otherwise you add some more Greensweet Syrup Gold. Pour the milk into a large bowl and add the chia seeds. Stir well. Divide the pudding over 2 or 4 dishes and put in the refrigerator to stiffen. Serve with some extra fresh fruit, granola or whatever you like.